We are an all-age local church made up of people from a wide spectrum of life. We seek to teach, understand and follow the whole message of the Bible, showing us how to be reconnected with God, which is the most vital need for everyone in our modern world. We are an enthusiastic church and enjoy lots of participation from the congregation, as we seek to allow the Holy Spirit to guide us in worship and prayer. Bible teaching is always a key ingredient of our meetings together and we also provide children’s and youth programmes to run alongside those for adults. Keith and Vinolia are passionate about evangelism and mission and love to see God impact the lives of others through his love and power. Both cricket fans, they are also living proof that supporters of England and India can get on – regardless of the inevitable rivalry come match day! Nick is married to Rosemarie and has two daughters, Rebecca and Elizabeth. His interests include kayaking, watching sport and End Times theology – and he is passionate for people to know about Jesus. Derek is married to Linda and has three sons, Matthew, Jonathan and Philip. Having been office manager for a range of charities he is now retired – giving him more time for pastoring the church and cheering on Wolves FC. David is married to Carolyn, one of the church's worship leaders. As well as being chair of the trustees, David preaches and teaches the church and is responsible for leading our Freedom in Christ and Grace courses. Cathy is married to Rolf and has two children and a dog. She has been church secretary for 15 years and has run Toddlers for 20 years. She loves exploring local coffee shops and finding good places to eat. 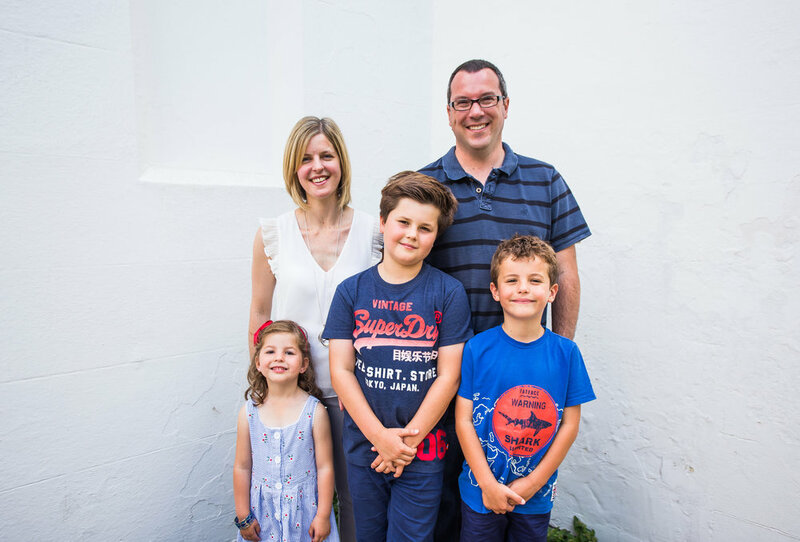 Mark, Michelle and daughter Abigail have recently joined us at Grace Church but they are already part of the family! Mark heads up our youth projects and goes into local schools, doing RE lessons and school assemblies. Anna is married to Michael and has three grown-up children. A biomedical scientist at a local hospital, Anna also enjoys art, gardening and making Sunday School fun and educational. Our Pop-In activities are led by a wonderful group of leaders including Pauline Blackburn, Elaine Lloyd, Sandra Donaldson, Dave Watson, Iris Stagg and Jane Watson. John is married to Alice and has three children, Joel, Nathan and Bethany. As well as keeping the books in order, John loves to take his children to watch football and play sport. Rolf is married to Cathy and has been involved in our worship band for over 20 years. He loves playing at Christian events and conferences – as well as in a swing and Rock 'n' Roll band!